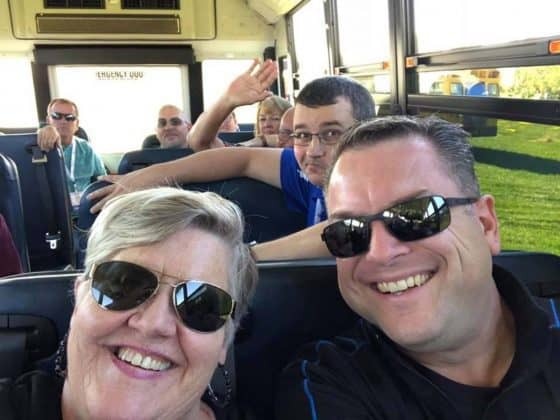 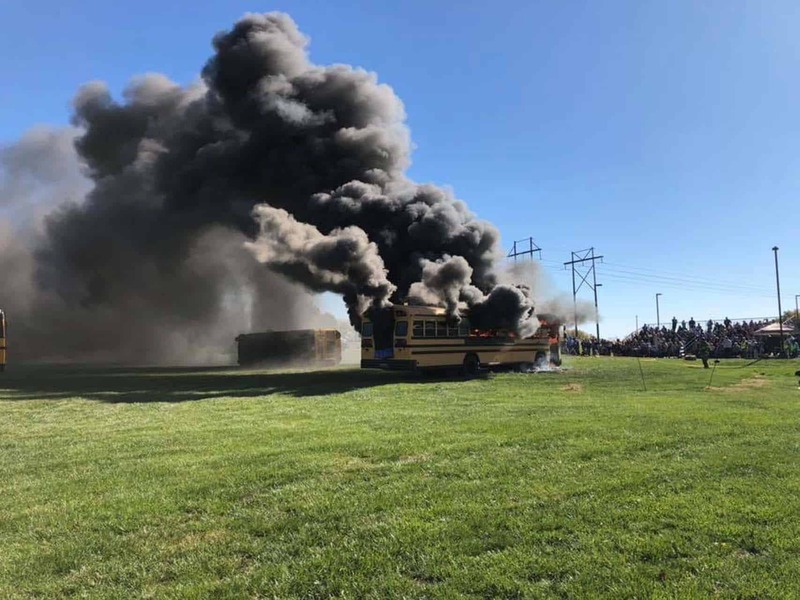 Katrina Falk, assistant director of transportation at Shelby Eastern Schools in Indiana, was one of two winners of the week's STN Photo Contest with this submission. 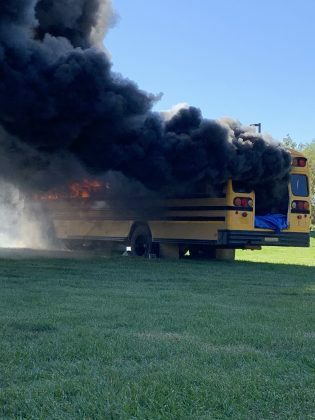 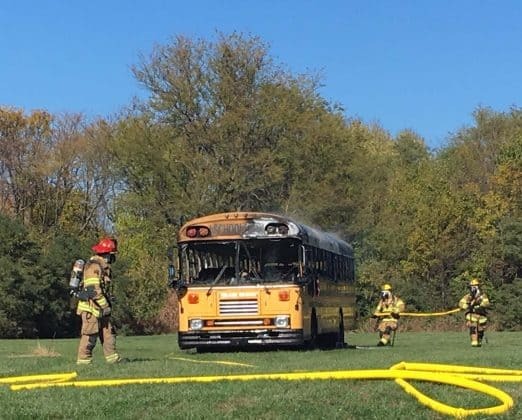 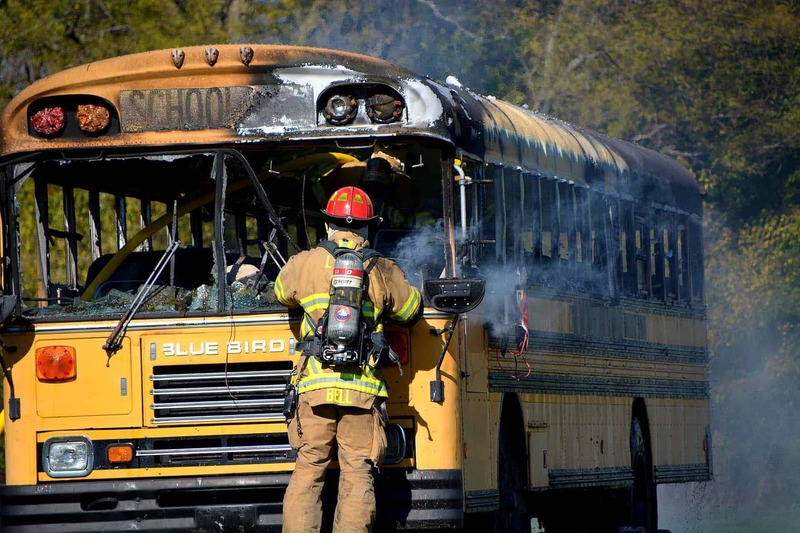 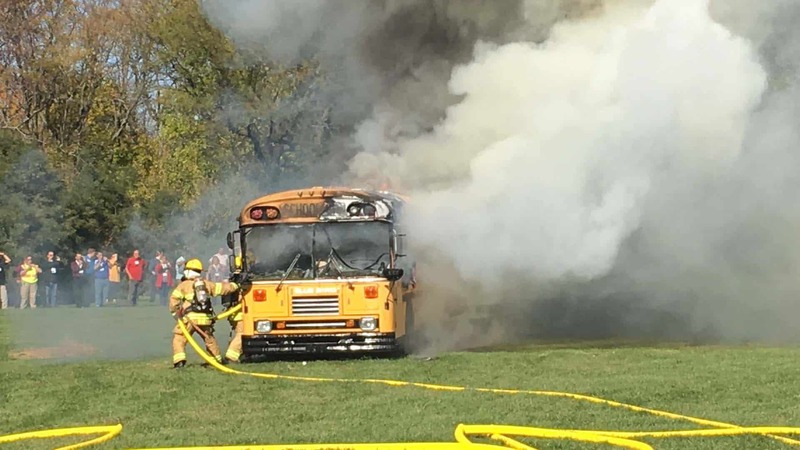 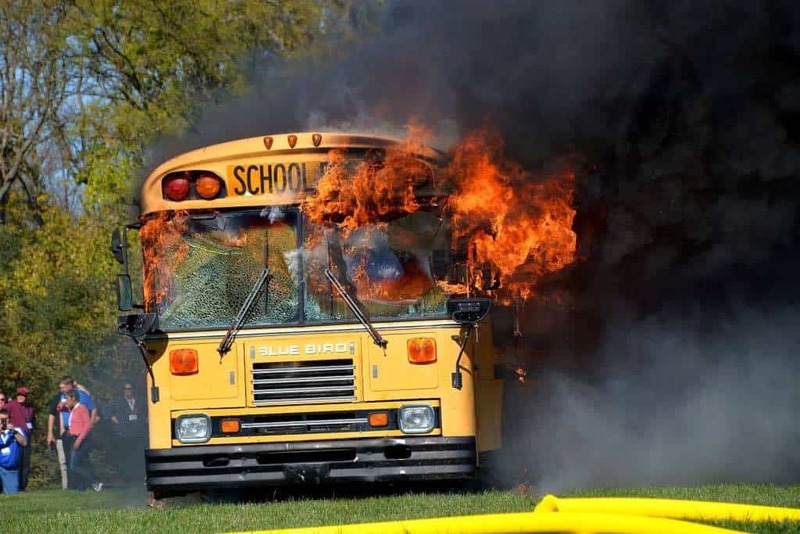 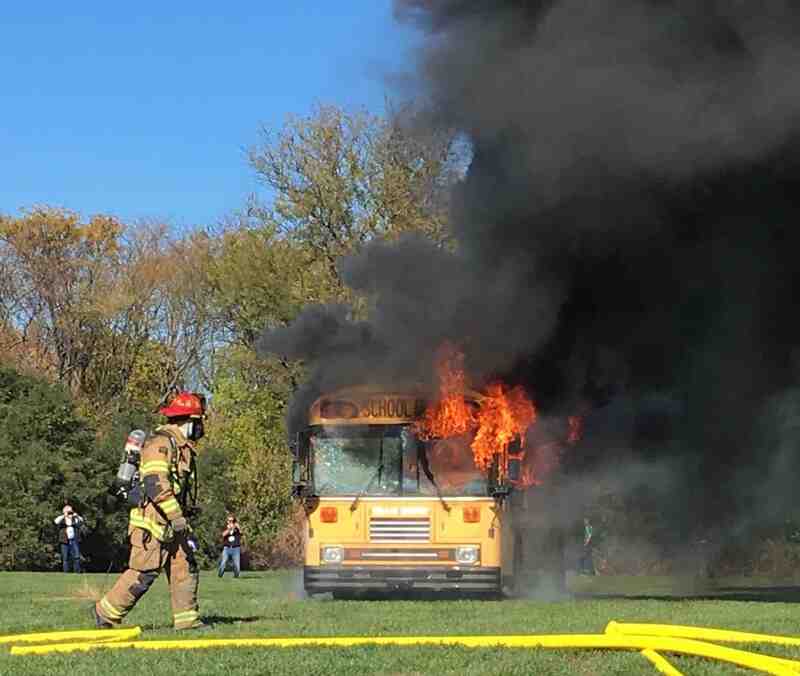 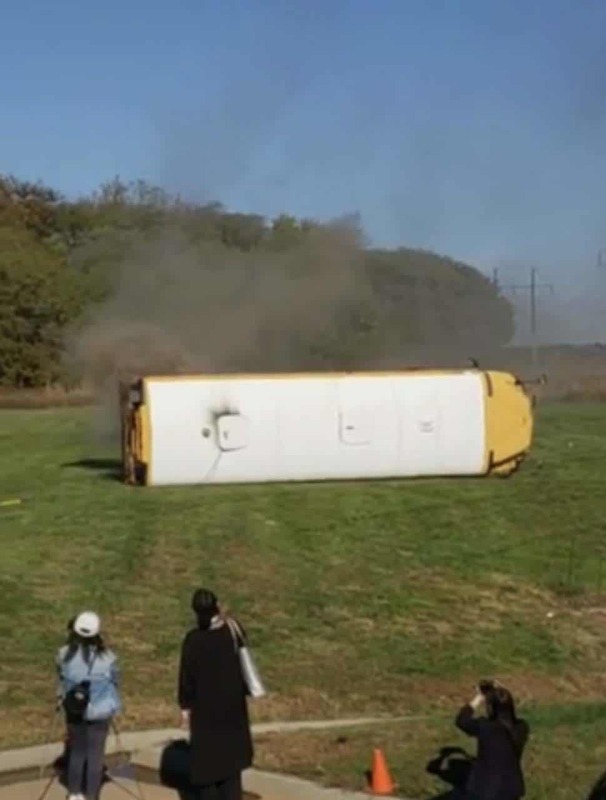 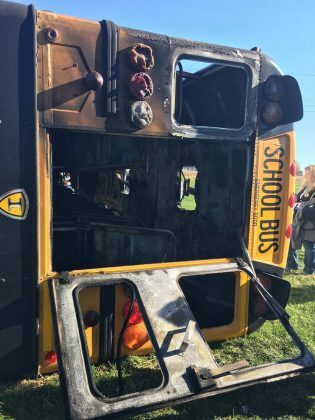 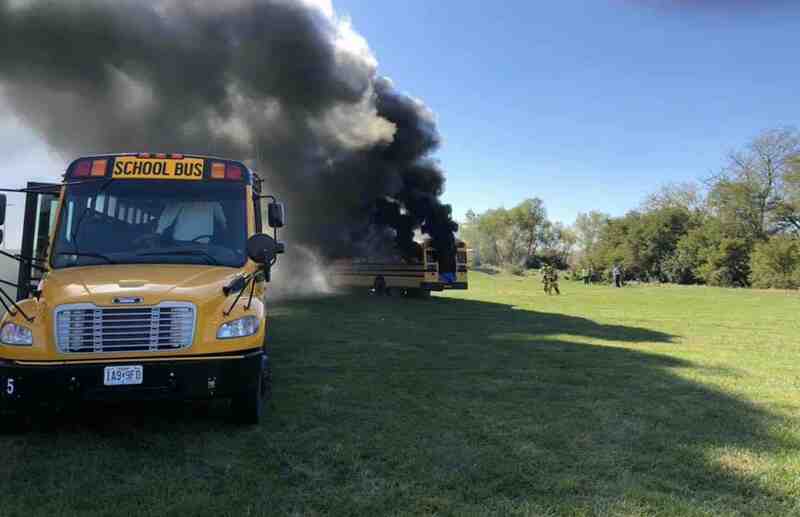 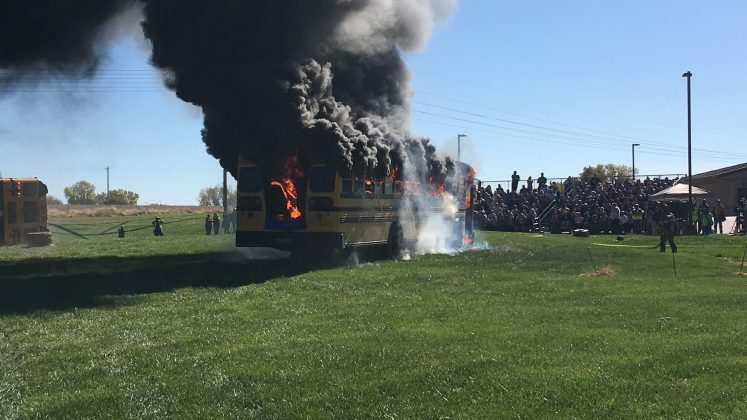 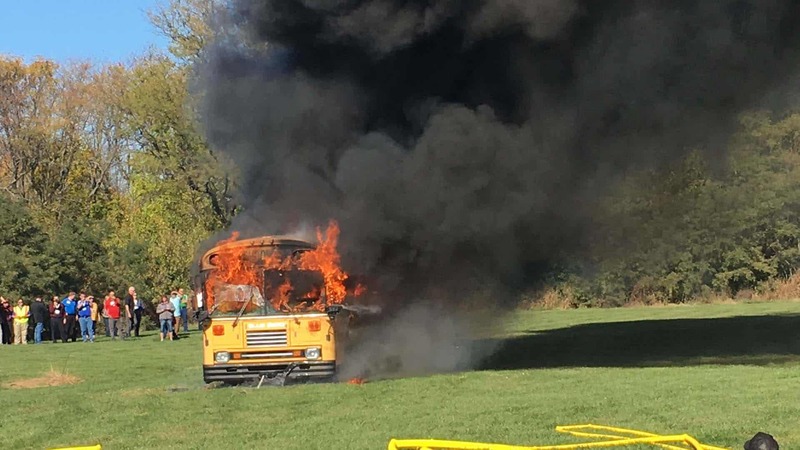 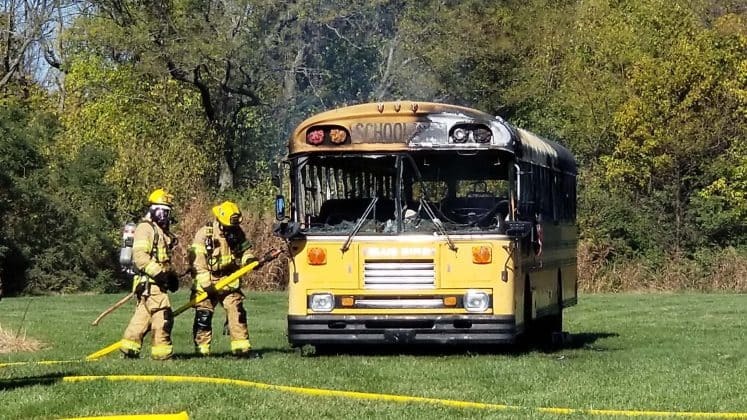 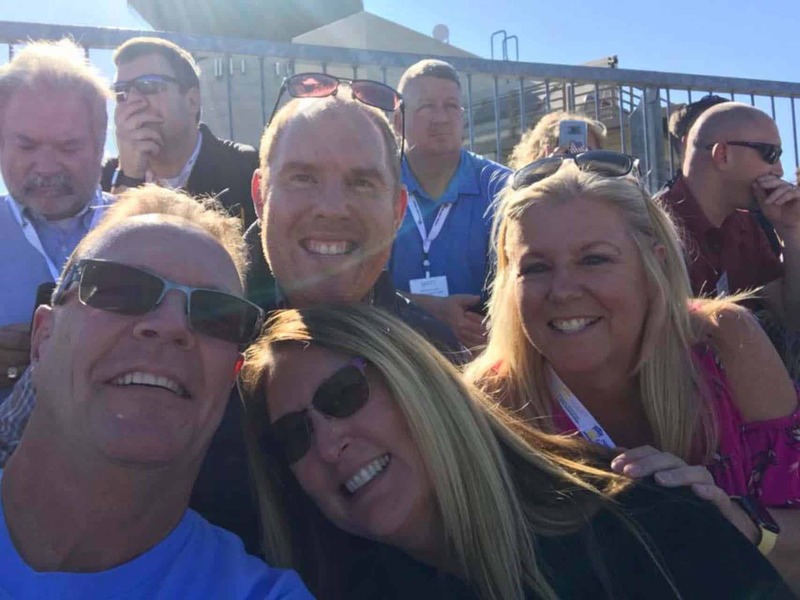 KANSAS CITY — Attendees at the NAPT Summit and NASDPTS Conference got the chance to witness two live-action school bus fires, combined with evacuation exercises designed to better illustrate what it is like to respond to fire on a bus that has students on board. 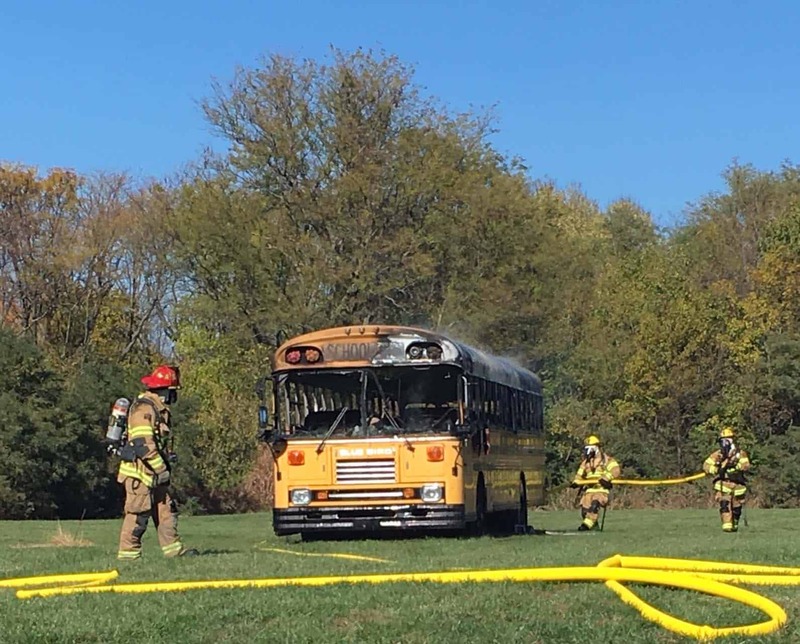 The event was held at the Lee Summit Fire Department, located about half an hour’s drive from downtown Kansas City. 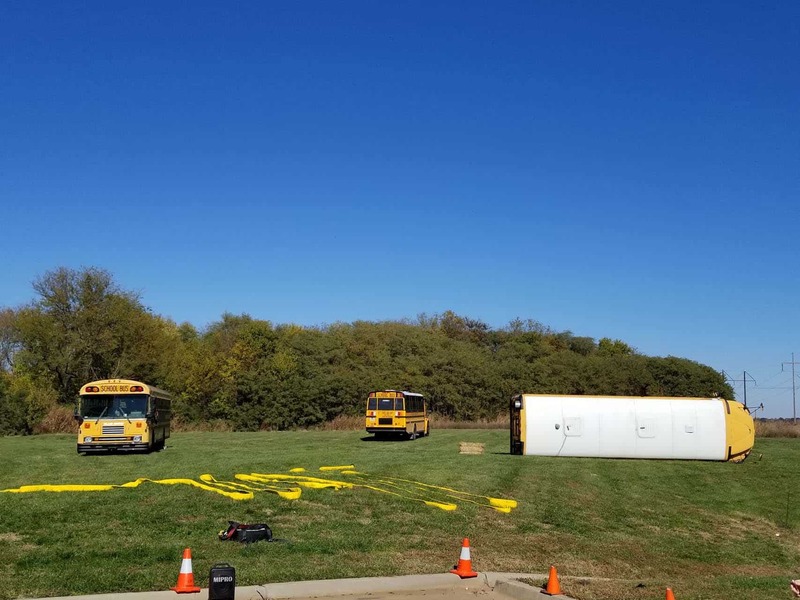 Three buses were set up for the event. 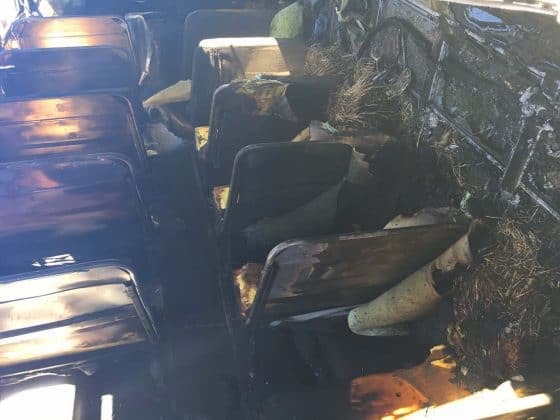 One was used for the purpose of timing 30 volunteers from the audience as they evacuated, once without seat belts and once with them. 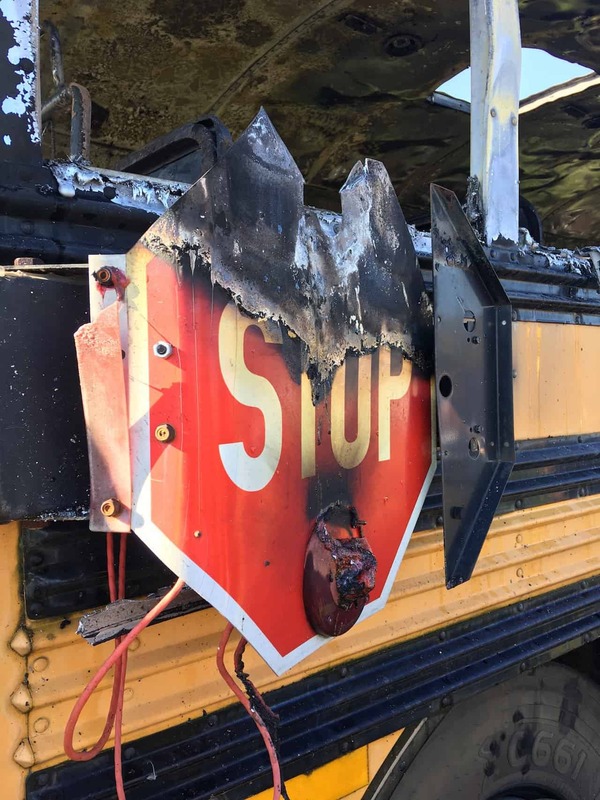 Carefully monitored fires were set on the other two buses so it could be witnessed how the flames acted and how quickly the vehicles were destroyed. 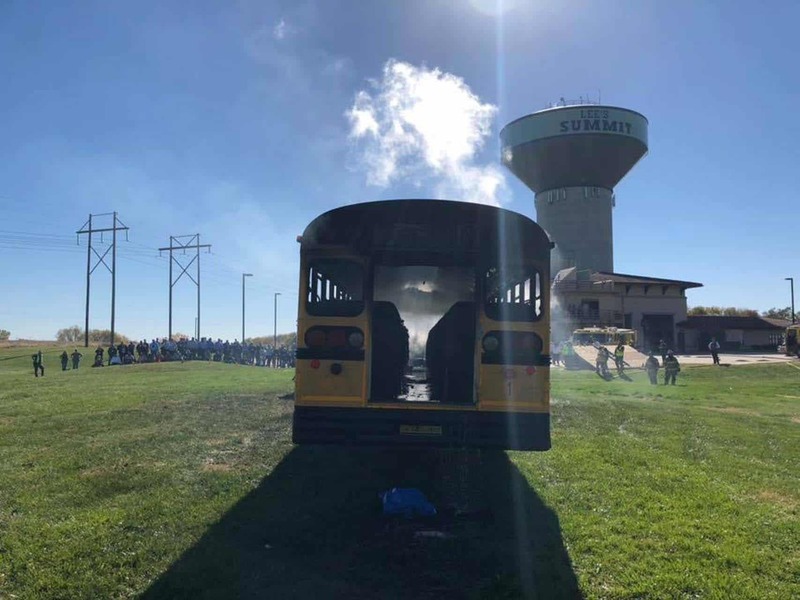 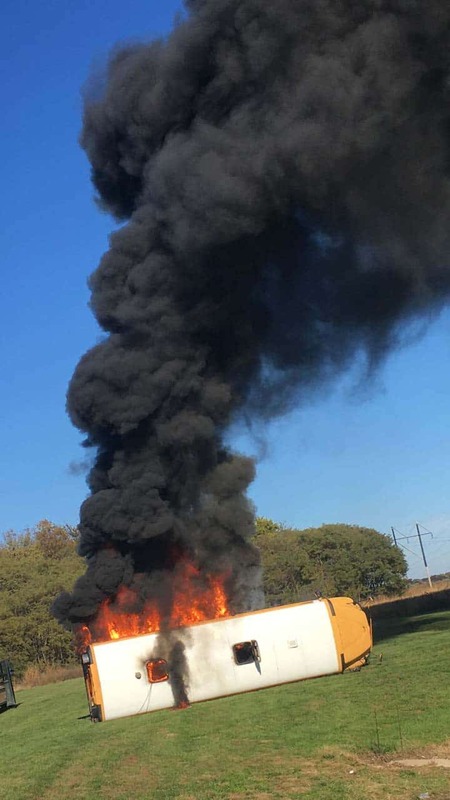 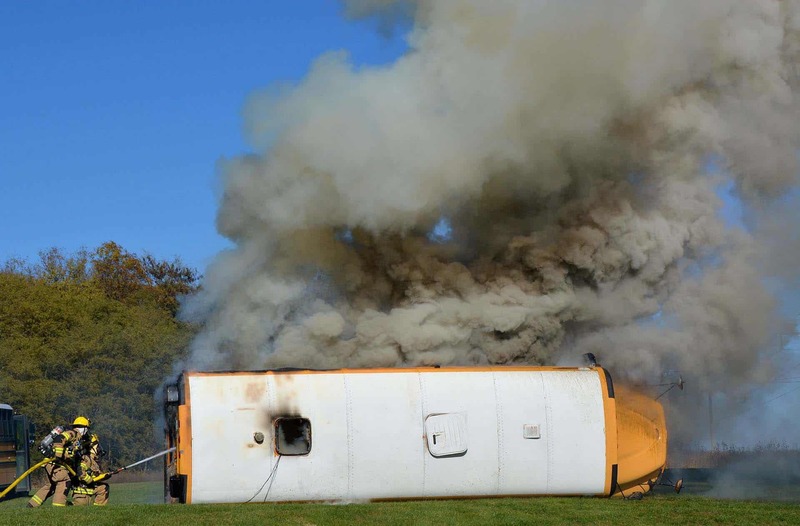 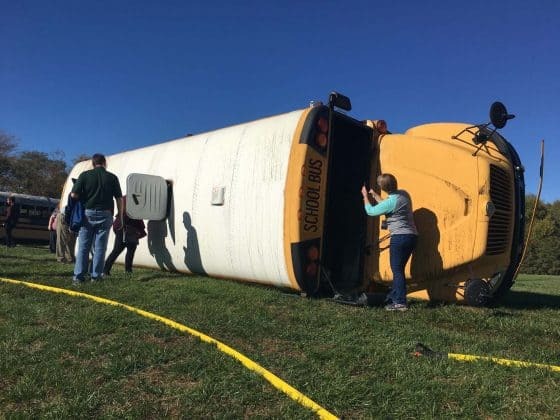 “The purpose of the demonstration is to show how fast a school bus will burn, and how quickly an evacuation would need to take place. 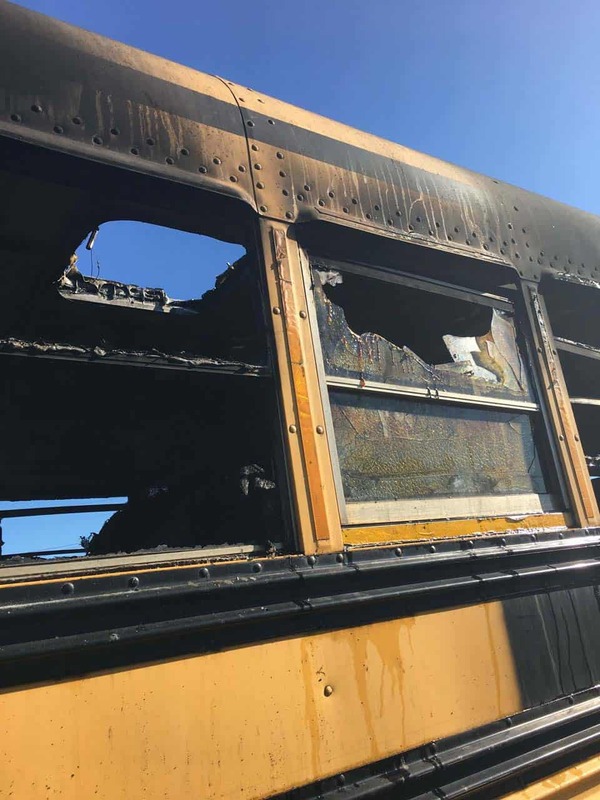 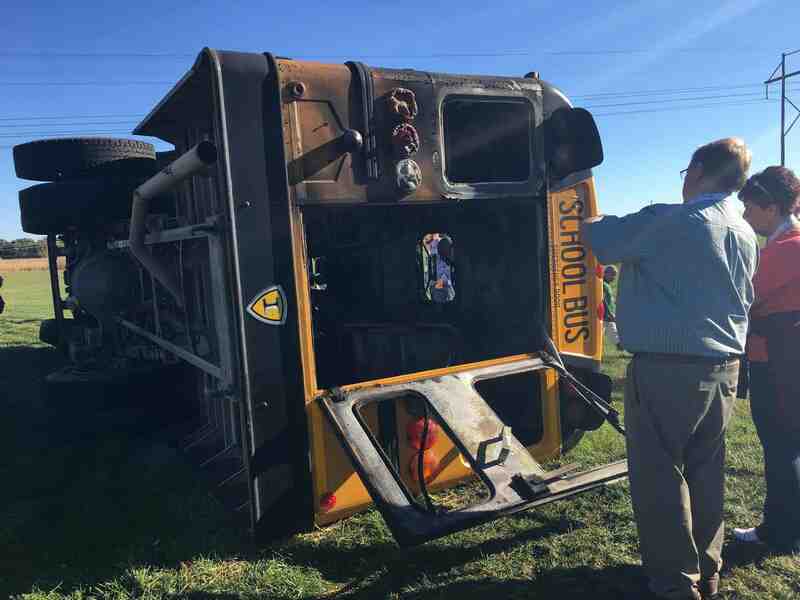 This is part of the ongoing discussion on possibly requiring seat belts on school buses,” the fire department said in a statement. 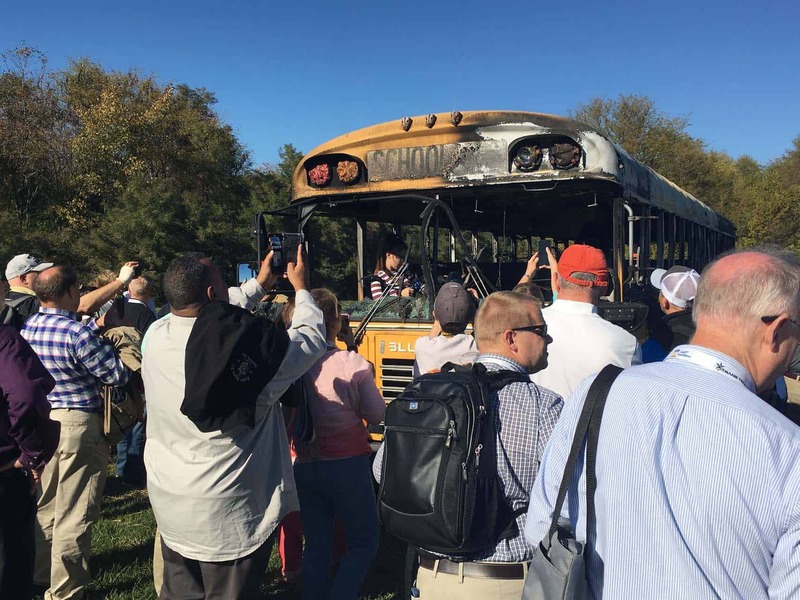 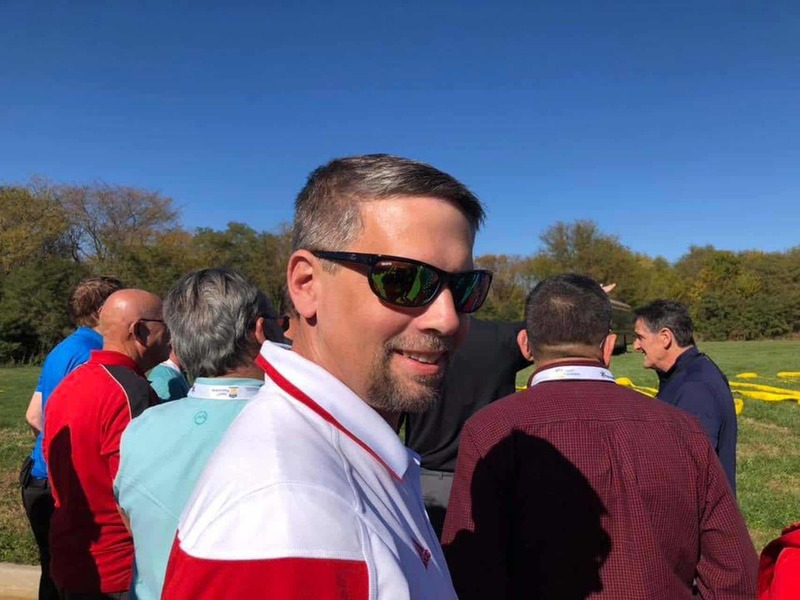 Transportation professionals in attendance expressed their appreciation on getting to see the event, as they may not be able to carry out something similar in their own districts. 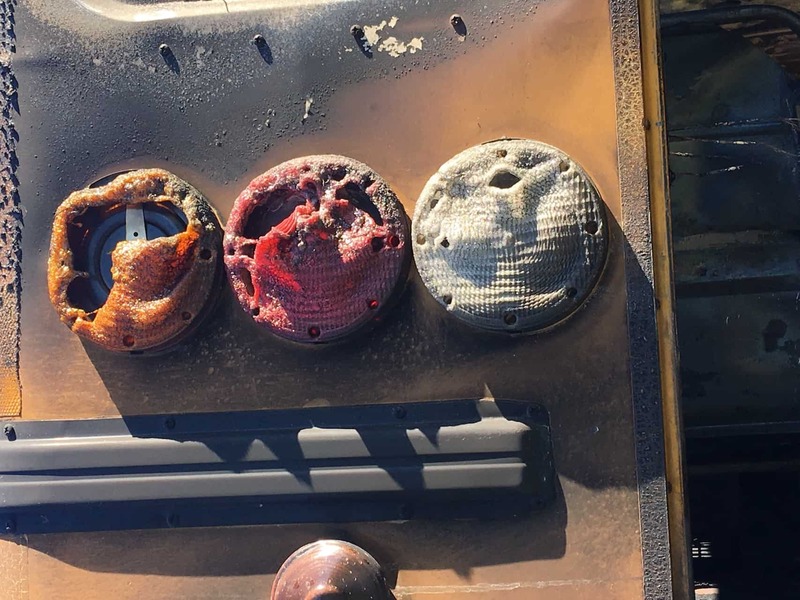 The fire department confirmed that cameras placed on and around the buses recorded video of the fires that attendees would soon get to have and use for training purposes. 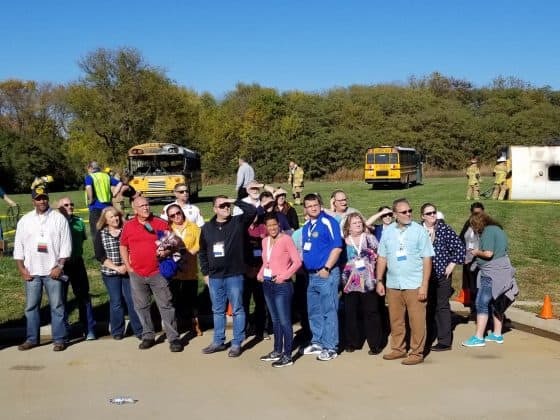 Read more details on how this event was carried out, the insights it revealed, and what attendees thought of it, in the STN Show Reporter releasing on Tuesday.